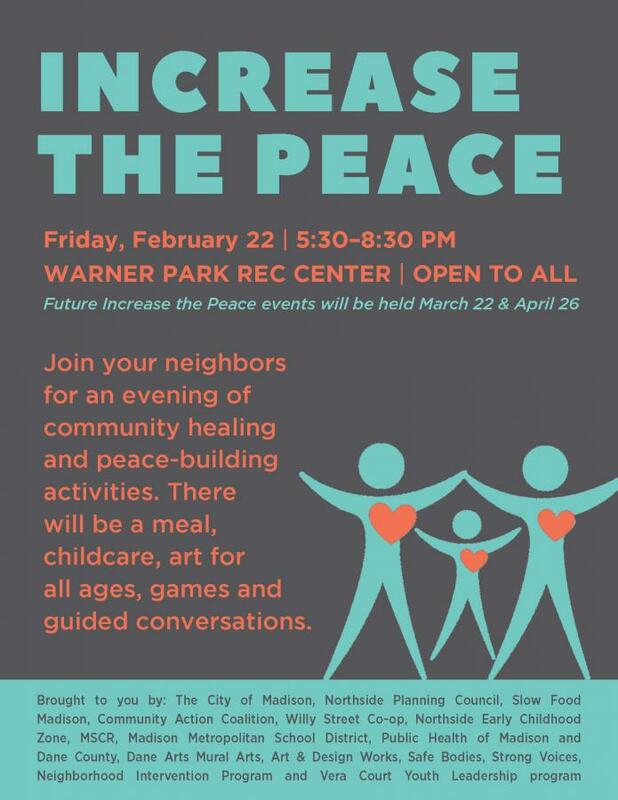 Join your neighbors for an evening of community healing and peace-building. Come for as much of the evening as you can. There will be a meal, childcare, art for all-ages, games and guided conversations. Future Increase the Peace events will be held April 26. Hosted by the Northside Planning Council in partnership with other local organizations.